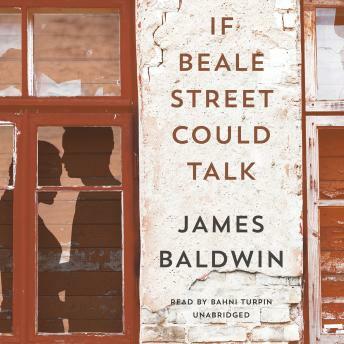 In this honest and stunning novel, James Baldwin has given America a moving story of love in the face of injustice. Told through the eyes of Tish, a nineteen-year-old girl in love with Fonny, a young sculptor who is the father of her child, Baldwin's story mixes the sweet and the sad. First, hated the way it ended. Left me feeling cheated; like where’s the rest of it? The characters were good, not Toni Morrison style. Awesome book, I wish it could have lasted longer. I love the way James Baldwin describes and takes us on the journey of young love as it blossoms even through a rough situation. It shows the depths parents go to show and prove the love and innocence for their children. Even though this book was written some time ago, it still resonates today. LOVED IT LOVE BALDWIN & LOVE TURPIN. The way the book is read I was always on the edge of my seat. The narration compliments the actual literature perfectly. I listened to the audio and then watched the movie in one whole day and man I’d rather listen to Turpin read. Excellent excellent excellent. The way it ended was bad but that’s the life of black people for you. It ain’t always happy. Great, great book. I loved the story and the prospective in which it was told. Baldwin's in depth details on emotions and character's state of mind, (state of being) was insightful and thorough. Mostly, I appreciated the love: love of family, love of a sibling, love of a man and his woman, and love extended within the community to those who need it most.